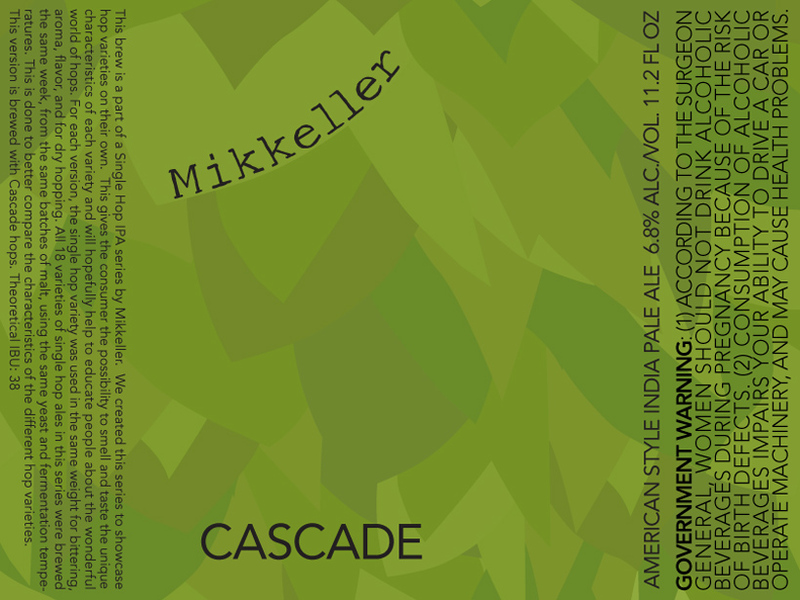 The third in the series of single hop IPA’s from Mikkeller, the Cascade is brewed with, you guessed it, the American classic: Cascade hops. The Cascade packs less of a punch than the previous two single hop IPAs, making for a well-balanced beer. Water, malts (pilsner, cara-crystal and munich), hops (cascade) and yeast.